Robert C. Martin Law Office - Robert C. Martin Law Office. Business and contracts lawyer in Franklin, Pennsylvania. I have been doing deals and writing agreements for over 30 years. In negotiations I pay attention to the needs and interests on both sides of the table and seek creative solutions that are favorable to my client while still being acceptable to the other side. When writing the contract I work hard to leave as little room as possible for misunderstanding and dispute and to structure an arrangement that enables the parties to resolve quickly and amicably such disputes as may arise, without litigation. Business formation and governance - formation of Pennsylvania and Delaware corporations, limited partnerships, and limited liability companies, and negotiation and preparation of shareholder agreements, limited partnership agreements, and limited liability company operating agreements. Purchase and sale of businesses - representation of buyers and sellers of privately held businesses, including radio stations, computer software and multimedia developers, an analytical chemical instruments manufacturer, a steel mill, a plastics injection molding compa­ny, a wire spring manufacturer, a construction company, an office products retailer, a travel agency, a pottery shop, and professional practices. 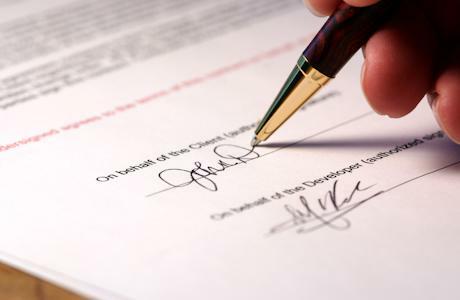 Other contracts - negotiating, writing, reviewing, interpreting, and advising concerning contracts for many types of transactions, including agreements for the purchase and sale of real estate; promissory notes; mortgages; office and plant leases; oil and gas leases; employment and severance agreements; non­competition, ownership of inventions, and confidenti­al­i­ty covenants; marketing agreements; franchise offering documents and agreements; and govern­ment contracts. To learn more about how I might help you, email me or call me at (814) 437-2033. Handling transactions and representing businesses and individuals throughout western Pennsylvania, including in the counties of Allegheny, Armstrong, Blair, Butler, Clarion, Crawford, Elk, Erie, Forest, Indiana, Jefferson, Lawrence, Mercer, Venango, Warren, and Westmoreland, and in the municipalities of Altoona, Cranberry, Erie, Franklin, Kittanning, Meadville, New Castle, Oil City, Pittsburgh, and Titusville.